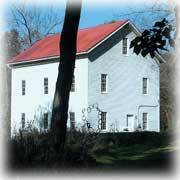 The Hyattstown Mill Arts Project Seeks Art for Spring Exhibition. Titled 3700 ACRES, The Art of Little Bennett, the exhibition will display artworks directly inspired by the Little Bennett Regional park. The exhibition will be held at the Hyattstown Mill Arts Project Gallery, located on 14920 Hyattstown Mill Rd. in Clarksburg, Maryland. The event will begin on March 12th, with an artist reception held from 5 to 7 pm. The show will continue until April 24th. All artworks and all media, including paintings, drawing, prints, photography and sculpture will be accepted for exhibition but the artwork must relate to the park experience. All artwork must be ready for hanging (or display) and measure no more than 48 inches in any direction. There is a five dollar participation fee for non- Hyattstown Mill Arts Project members. (m-NCPPC) and stewards the historic Hyattstown Mill site.